Sunderland are First division champions! The issue was definitely settled and settled in such style as to convince the football world they are worthy champions. To win by such a margin as 7-2 is a performance bearing the hall mark of outstanding ability. 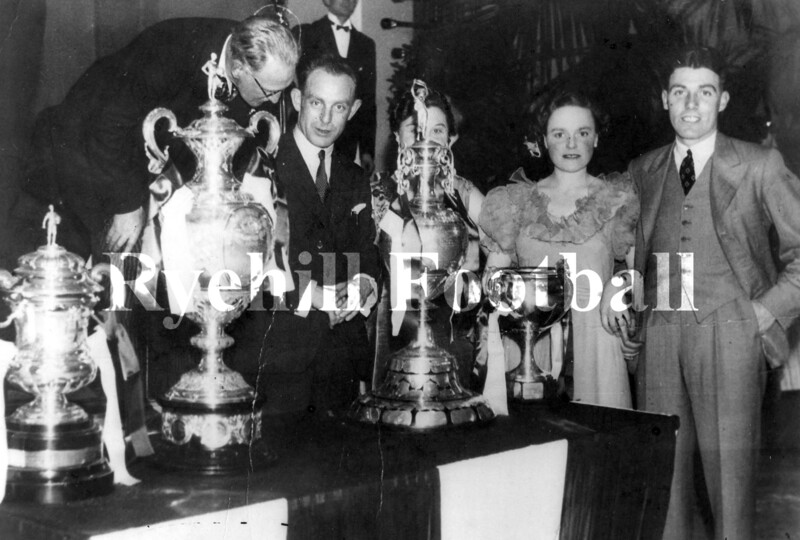 Immediately after the game congratulations were showered upon Sunderland by the home directors, officials, players and public and by Mr F W Reyder a member of the league management team. One cannot recall seeing Sunderland play better. Carter was the schemer, the inspiration and the brightest star of the game and his colleagues responded to his prompting magnificently. Sunderland might have won by twice the margin had they gone all out for goals in the 2nd half instead of treating the public to exhibition football and if home goalkeeper Clack had not played brilliantly. Clacks work was little short of marvellous and he was seldom given a moments respite. There was not a weak link in the Sunderland side despite the fact several reserves were on duty. The home halfbacks were never in the hunt in the 2nd half. Their backs were literally snowed under and the forwards never had a chance of getting moving. Gurney scored 4 goals. One had been credited to Carter but enquiries have elicited the fact that Carter only put the ball into the net in order to make sure it had crossed the line. The centre forward opened the scoring with a beautiful cross shot after 13 mins only for Loughran to equalise after 31 mins with a speculative long shot. Equality at that stage greatly flattered Birmingham but 5 mins later Carter restored Sunderland lead with a powerful shot. Again Birmingham equalised in the 41st minute, this time with a goal from Clarke who appeared to have used his hand in getting the ball under control. 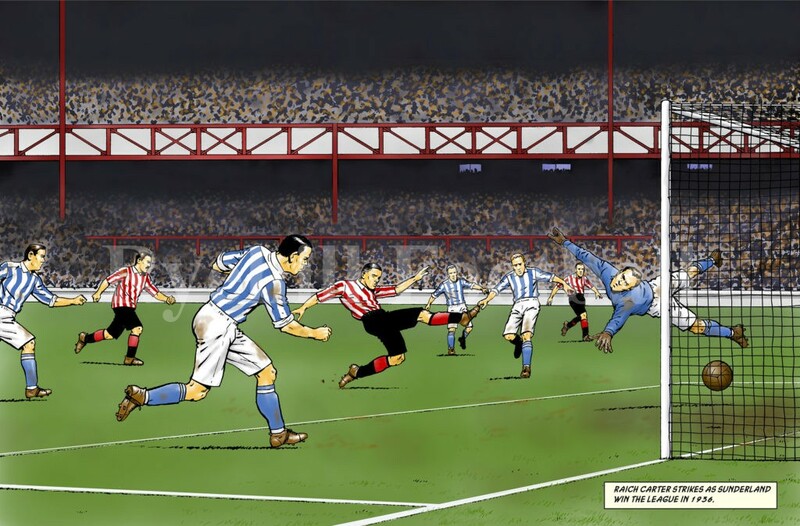 Two minutes later Sunderland were again in the lead as the result of a clever header by Hornby from Carters centre. Sunderland thus lead 3-2 at the interval and that was the end of Birmingham. Ten minutes after the break Gurney scored the goal which Carter sealed and 8 minutes later a glorious pass by Carter gave Gurney another. Then came a goal that Carter did not make. It was from a corner kick splendidly placed by Davis and Gurney glided the ball into the net with his head. That was after 75 minutes. The 7th and last goal was presented to Connor by Carter in the 86th minute. It seemed Carter tried his hardest to give Davis a goal but the outside right could not oblige. The game like the one on Good Friday between the teams was extremely clean and sporting and exceptionally well handled by the referee Mr Booth. After the game there was a pleasant gathering at a local hotel where the chairman of the club Sir Walter Raine congratulated the players on their brilliant season and Alex Hastings expressed the players thanks to the directors, manager and trainer for the confidence placed in them and the help given. The attendance for the match was surprisingly satisfactory in view of the wretched weather with rain, sleet and intense cold. Among the crowd was a party of Sunderland folk who had travelled through the night. They were well rewarded. Champions and in this game playing like champions. That is true in substance and in fact of Sunderland at Birmingham. They bamboozled the home team by playing them off their feet by the almost super brilliance of their football. It’s a fact that Birmingham were weakened by the absence of several players but so were Sunderland on paper but it was no handicap to them. Sunderland simply toyed with the opposition. They were times near the end when some of the Sunderland players were only endeavouring to make openings for Davis to score. There was only one home hero, goalkeeper Clack who deputised for Hibbs. He was beaten 7 times and must have saved another dozen shots that would have escaped most goalkeepers. He certainly deserved the cheers as he left the field. But Barkas did not deserve to be barracked. Stoker who ran miles without getting the ball hid himself by getting lost from the position he should have been in and poor Barkas was run off his feet by the wiles of Connor. Never has Carter exhibited such superlative skill. He swerved to right and left with the ball under perfect control, slipped it out to Connor or held it as the occasion demanded. One could not find a weal link in a magnificent attack. Gurney with 4 goals touched his best. Hornby was forceful and direct and Davis even without a goal was a cog in the wheel which never slowed or jarred. Though the honours went to the attack the defence did its share and Johnston recovered most of his old individual stopping methods. The homesters strove in vain. With a weak centre half they were hardly ever in the picture after the 1st half and they were exhausted chasing Sunderland. That is all they were doing for they were seldom getting near enough to the ball to challenge a Sunderland player much less do anything with it. Sympathy must go to Clack. He was there to be shot at and did magnificently to keep the score down. The goals came as follows:- Gurney-13 mins, Loughran-31 mins, Carter-36 mins, Clarke-41 mins, Hornby-43 mins, Gurney-55 mins, Gurney-63 mins, Gurney-75 mins, Connor-86 mins. Gurney is credited with 4 of the goals although Carter finished one move by putting the ball into the net. The ball was over the goalline when kicked out for Carter put it back in again. Naturally there was jubilation amongst the Sunderland players and officials when they got back to their hotel. 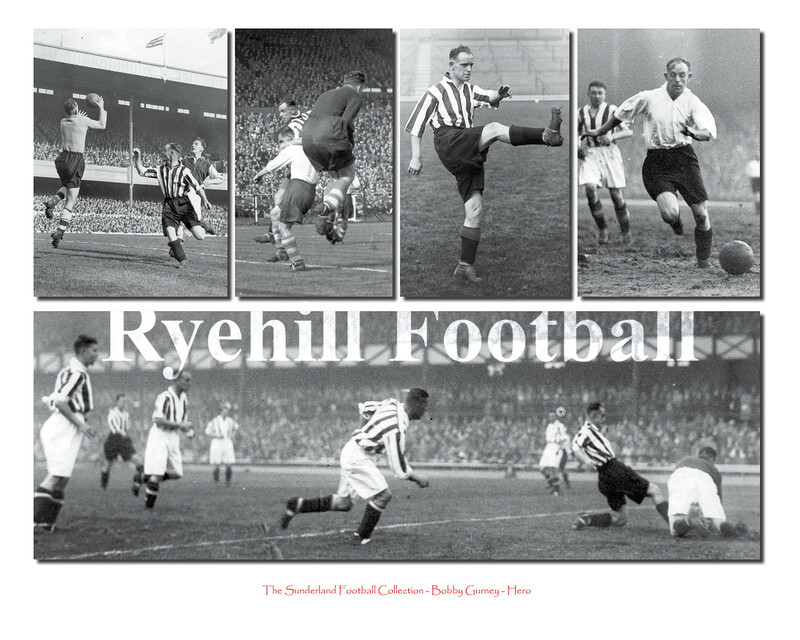 The Sunderland clubs directors and players were toasted and there was a party in which several wearside supporters who had made the journey by excursion were invited to join by Sir Walter Raine. The league champions received a telegram of congratulation from the old champions Arsenal within an hour of winning it.